The completed application file should be submitted either to the National Advanced School of Engineering of the University of Maroua or the Regional Delegations of Secondary Education in all the regions of the national territory or at the Yaounde-Antenna of the University of Maroua or to the MCHP Department of the ENSPM in KOUSSERI. Article 5: Holders of foreign diplomas shall submit either the equivalence or the receipt showing that they have applied for the equivalence of their diplomas or certificates issued by the Minister of Higher Education. However, their final admission and the award of a diploma or attestation of completion at the end of their training may be acquired only upon presentation within the time limits set by the competent authority, of the text granting equivalence to their diploma. and obtained from the Minister of Higher Education by the candidate. Article 6: The completed application file should be submitted either to the Regional Delegations of Secondary Education, or the National Advanced School of Engineering of the University of Maroua, or the Department of Meteorology, Climatology, Hydrology and Pedology of the Advanced School of Engineering in Kousseri or to the Yaounde-Antenna of the University of Maroua, on or before the 12 September 2018 at 3.30 p,m precisely. Article 8: The written tests will take place on 15-16 September 2018, in the following examination centers: Buea, Douala, Dschang, Garoua, Kousseri, Maroua, Ngaoundéré and Yaounde. The programs of the competition are those of the Bachelor’s degrEe of Sciences, Bachelor of Engineering of the corresponding specialty, will be published by the University of Maroua. Mark for each written test will range from zero (00) to twenty (20) according to the above mentioned coefficients. At the end of the written tests and after registration in the school records, the jury shall publish the list of successful candidates. There is no oral examination. Admission cannot be deferred for the next or any other academic year. Article 10: The scholar appreciation is determined according to the age of the candidate and his previous academic performance. Article 12: The composition of the Jury is specified by the Minister of Higher Education. Article 13: The Rector of the University of Maroua, the Director of University Accreditations and Quality, and the Director of the National Advanced school of Engineering of the University of Maroua. 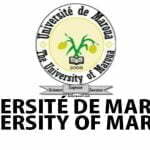 Concours National Advanced School of Engineering ENSP Maroua 2019-2020: 4th year of the University of Maroua. LIRE: ENS Maroua 2019-2020 Concours: First year of the first cycle Entrance.